Ref. 905182. 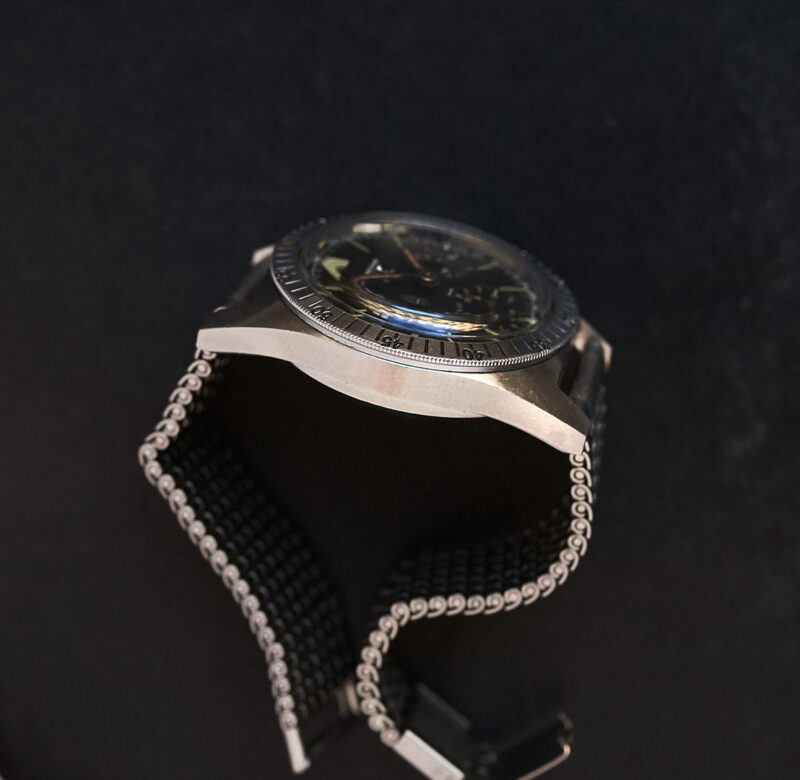 Most connaisseurs might be aware of the brand Aquastar, a small company from Geneva that only produced nautical sportswatches and instruments from 1962 on. 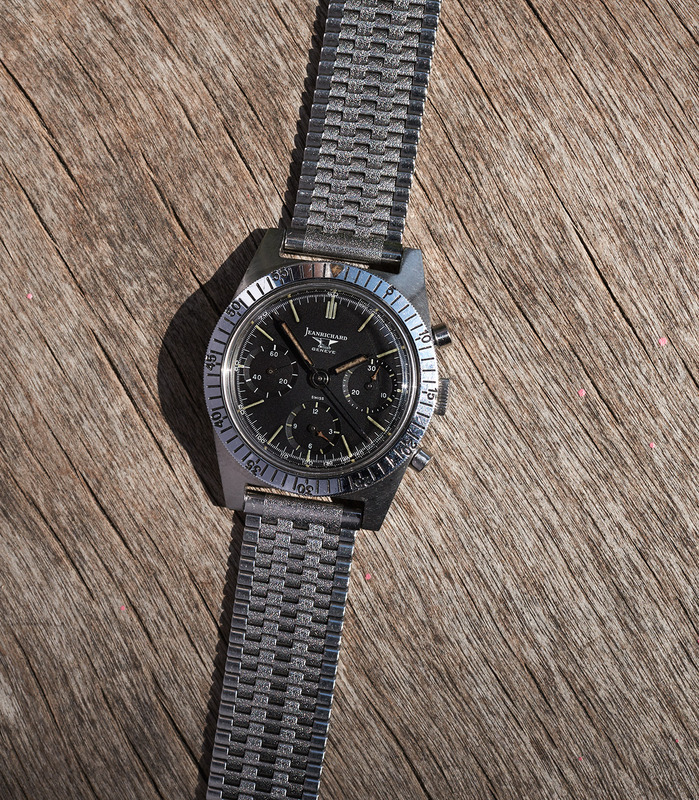 Under todays collectors the two most sought after models are the Deepsea (the watch that was used mostly by Jacques Cousteaus´s Calipso crew) and the Airstar, a Valjoux 72 powered 37,5mm Chronograph. 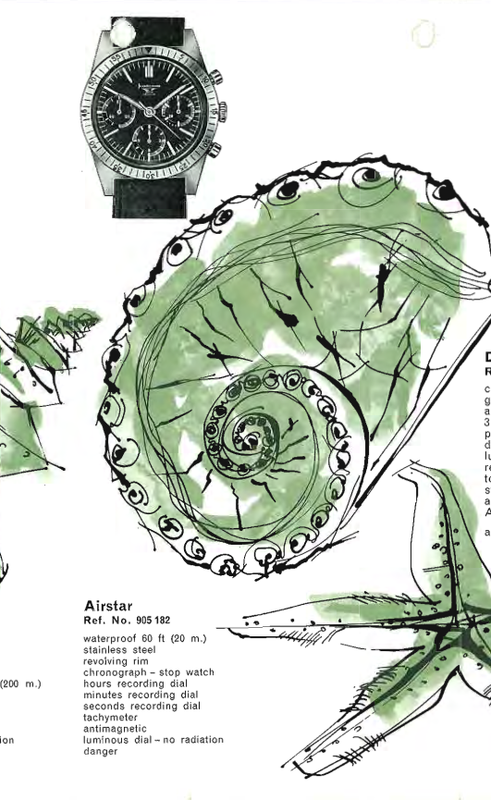 In the first Aquastar catalogues from that time you will find the Airstar with “Jean Richard” logo. 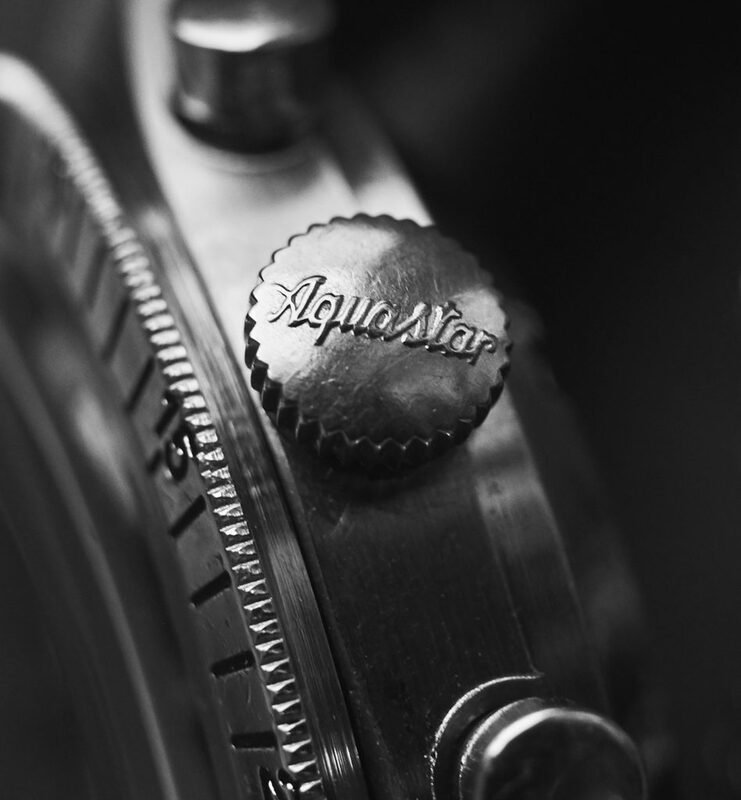 The company was the inventor of the subcompany Aquastar. 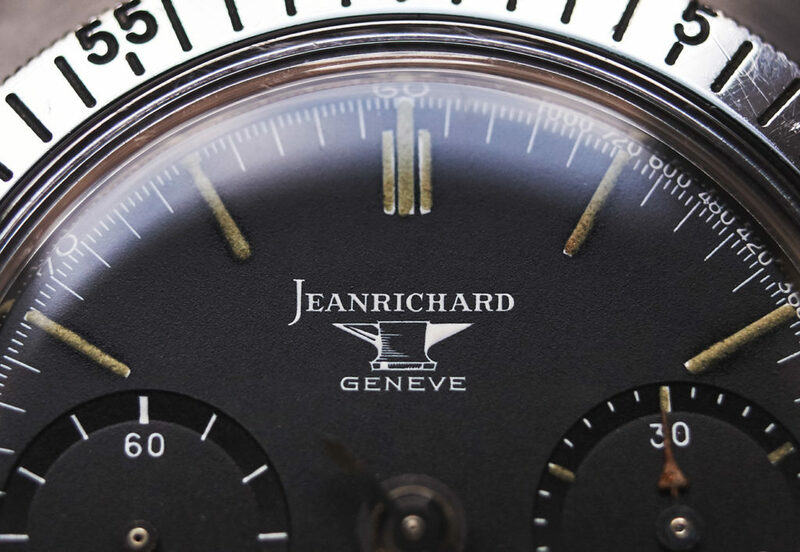 Only in the JR-Airstar you will find a Jean Richard engraving on a movementpart (photo) and a plane caseback, compared to the famous “starcaseback” of the following executions of the Airstar. 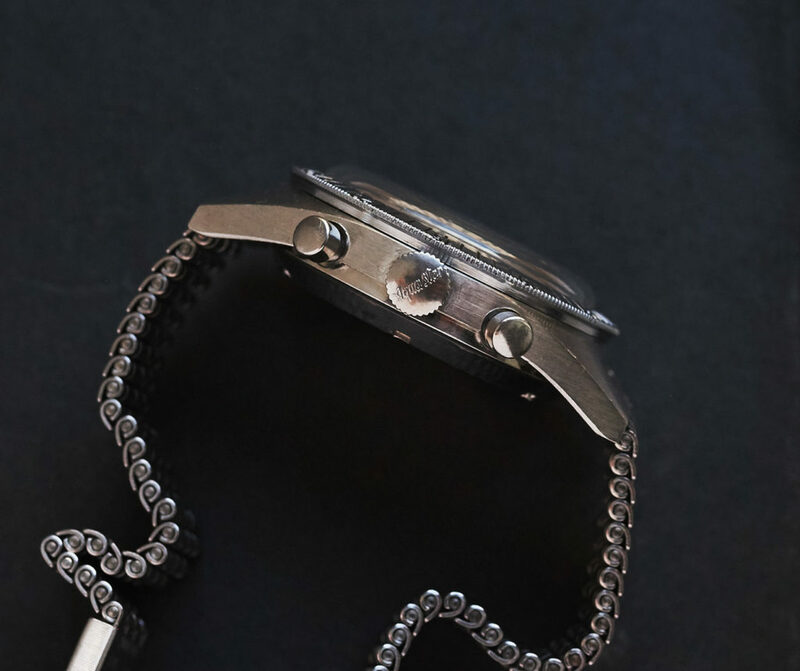 This piece here is unpolished and all parts like dial, hands, case, pushers crown and movement are in absolute fully authentic condition. It comes on a vintage NSA bracelet. These watches almost never appear on the open market so this is a rare chance to get your hands on a real collectorspiece.